We love this photo and just had to share it with you! 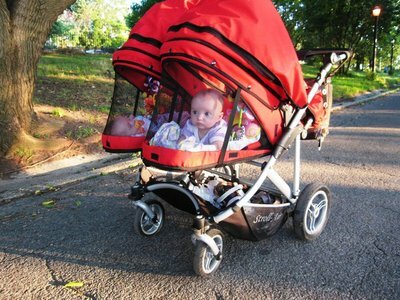 It is of the Stroll-Air My Duo and shows how the fabric can be removed leaving a mesh for the babies to look through, or for you to see your little ones! Cute!